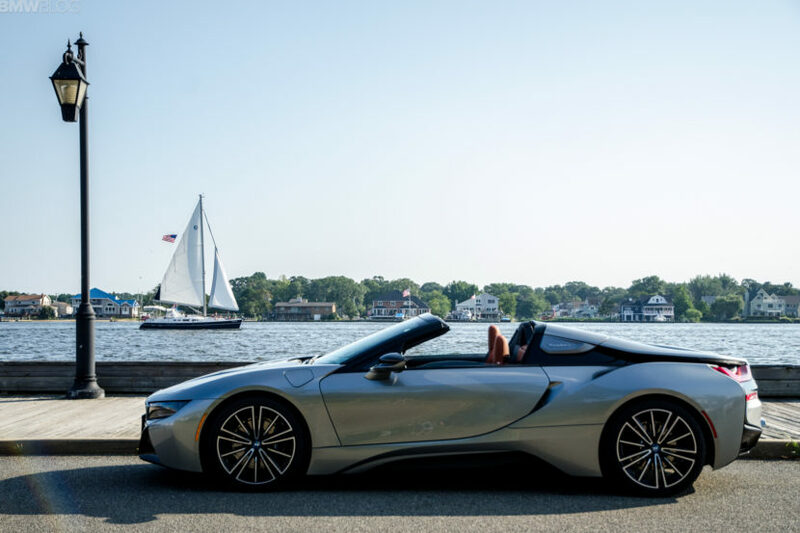 The BMW i8 Roadster is a superb sports car, one that we enjoyed quite a bit during our time with it. It looks like nothing else on the planet, has a trick hybrid powertrain, is more fun to drive than most other hybrids and can drive around under electric power alone with its roof down. So it has a lot to offer. But it is not a supercar. It’s a sports car. And that’s extra evident when it takes on the likes of actual supercars in performance tests. In this new video from Carwow, we take a look at a few different drag races between the BMW i8 Roadster, the Audi R8 Spyder, McLaren 570S Spider and the Mercedes-AMG GT C Roadster. 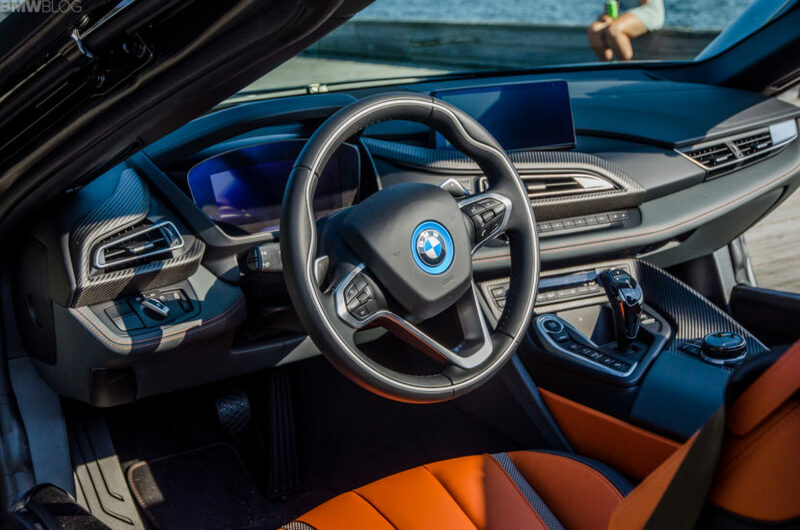 In the orange corner is the BMW i8 Roadster, with its 1.5 liter turbo three-cylinder and electric motors making 369 hp and 420 lb-ft of torque. In the red corner is the Audi R8 Spyder, making 540 hp and 398 lb-ft from its 5.2 liter naturally-aspirated V10. The grey corner is occupied by the Mercedes AMG GT C, which uses a 4.0 liter twin-turbo V8 to make 550 hp and 502 lb-ft. Lastly, in the awesome purple-colored corner is the McLaren 570S Spider that makes 562 hp and 443 lb-ft of torque from its 3.8 liter twin-turbo V8. All the cars in this test have soft-top convertible roofs. So which is fastest? Well, in a drag race that starts with each car dropping their roofs before taking off, the AMG is the first off the line and, because of that, dominates the race. In the second test, where their roofs are already down, the Audi R8 uses its all-wheel drive to jump every other car but the McLaren ends up being fastest. However, in a rolling drag race, the Mercedes-AMG GT uses its monstrous power and torque to take the win. In every test, though, the BMW i8 was so far behind the rest of the cars it didn’t even seem fair. Because it wasn’t. 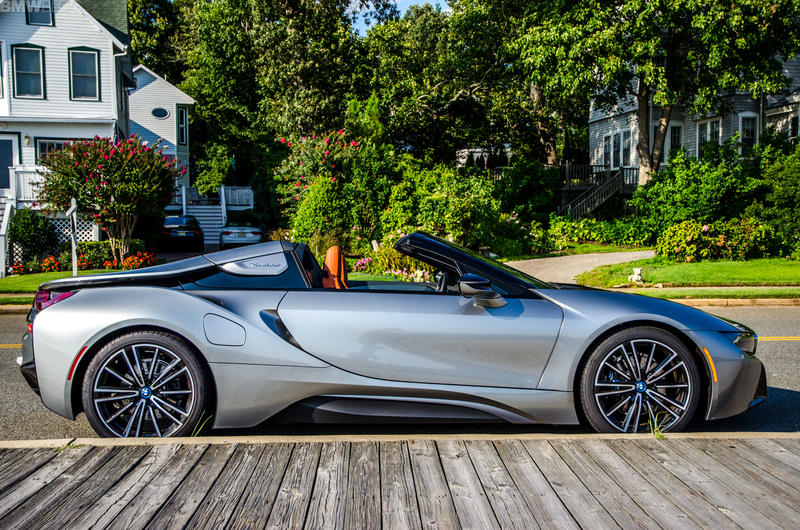 We love the i8 Roadster, as it’s a brilliant car to drive on the road. But is not a supercar, that much is evident.